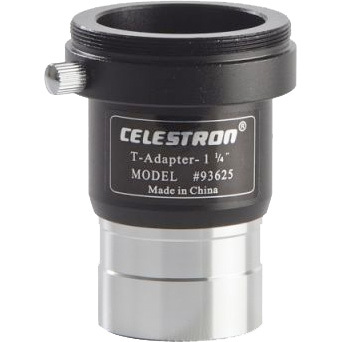 The Celestron Universal T-Adapter connects a DSLR or SLR camera body to a telescope with a 1.25"� focuser or eyepiece adapter installed. The T-threads on the top of the Universal T-Adapter screw into a T-Ring (sold separately) that is designed to attach to the brand-specific mounting flange of your camera. 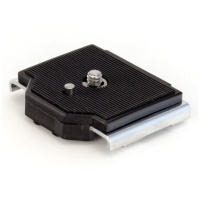 The barrel end of the T-Adapter slides into the focuser, just like an eyepiece, and locks into place with the focuser or eyepiece adapter thumbscrew. 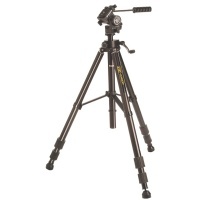 Please note that some telescopes, especially "_fast"� refractors and most Newtonians, may not have enough focus travel to allow the photographic image to come to focus when used in prime focus mode. In these instances, we recommend using the Universal Barlow & T-Adapter (#93640), which will double the magnification, but will allow the telescope to reach focus. 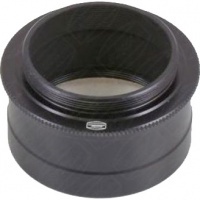 The adapter"_s chrome barrel slides into any focuser that accepts 1.25"� accessories.